Planet or Not? How About “Planetoid”? A dwarf planet, according to the IAU. I’ve argued that Pluto shouldn’t be a planet, and I’ve also argued that we don’t know enough to rigorously define the word “planet”. Now, I want to take a closer look at how and why we divide our own Solar System into planets and non-planets, but also why we shouldn’t be too quick to call that the be-all and end-all. The upshot: the IAU’s definition isn’t far off, despite being poorly written, but the name “dwarf planet” should be changed to something else. I vote for “planetoid”. If you were a space alien visiting our Solar System for the first time, you would see that there are five main zones characterized by different kinds of objects. Starting from the Sun, first there would be the realm of the four inner planets, Mercury, Venus, Earth, and Mars. These objects are significantly larger than most of the other objects in the Solar System, except the gas giants and a couple of moons, and all the asteroids that come near them are small and in unstable orbits and thus aren’t important to the dynamics of the Solar System as a whole. Second, you have the asteroid belt, which is filled with thousands of small objects in mostly stable orbits, none of which are dominant over the others. The largest of these objects, Ceres, is much smaller than Mercury (and Pluto) and, while significantly larger than the others, doesn’t exert gravitational control over the zone. Third, there are the four outer planets, Jupiter, Saturn, Uranus, and Neptune, which are by far the largest objects the Solar System. All other objects in this region are small and in unstable orbits (besides moons) and thus aren’t important to the dynamics of the Solar System as a whole. Fourth, you have the Kuiper belt, which contains many small objects in mostly stable orbits. There are several large objects that are about the same size, including Pluto, but they are still only half the size of Mercury and don’t exert gravitational control over the region. Fifth, you have the region beyond the Kuiper belt. We don’t know much about this region, so we can’t describe it in detail, and it may be possible to divide it into further zones such as the scattered disk, the realm of detached objects, the inner Oort cloud or Hills cloud, and the outer Oort cloud. This region is also composed of a bunch of objects, some of which may be bigger than Pluto, but are still not gravitationally dominant. Now, from this description, it’s pretty clear that there is something special about the eight large objects in our Solar System, so it’s reasonable to call them planets and everything else not planets. That is why I think Pluto shouldn’t be a planet, in a nutshell. But there is one big caveat that says this shouldn’t be a hard and fast definition, and that is that we don’t know what we’ll find out in the Oort cloud. I said in my last post that our concept of a planet is that it should be big, but what if we find an object in the Oort cloud that is bigger than Mars, or even bigger than Earth, which astronomers think is very possible. Such an object would still not be gravitationally dominant, so under this definition, and the IAU’s definition, such an object would not be a planet. That just feels wrong. It feels wrong for Earth to be a planet and something bigger than Earth to not be a planet. That’s not at all scientific, but it violates our concept of what a planet should be. So what should we call such an object? It’s a hard call. If you make it a planet, the case for Pluto not to be a planet becomes much weaker. If you make it not a planet, it’ll be a much harder sell than with Pluto. I would lean toward not a planet, but one thing you definitely can’t call it is a “dwarf planet”. I’ve never liked that term. It’s completely misleading. It’s not a planet, and if it’s that big, it’s not a dwarf either. The bottom line is that I don’t think it’s possible to create a scientific definition of “planet” that perfectly fits with our concept of it. Something has to give, and I think that thing is that an Earth-sized object that doesn’t clear its orbit can’t be fairly called a planet. It can’t be called a dwarf planet, either, but I think it can be fairly called a “planetoid”–something like a planet, but not quite. I think that would solve a lot of the cognitive dissonance of Pluto and other objects out there not being planets when you view it in those terms. 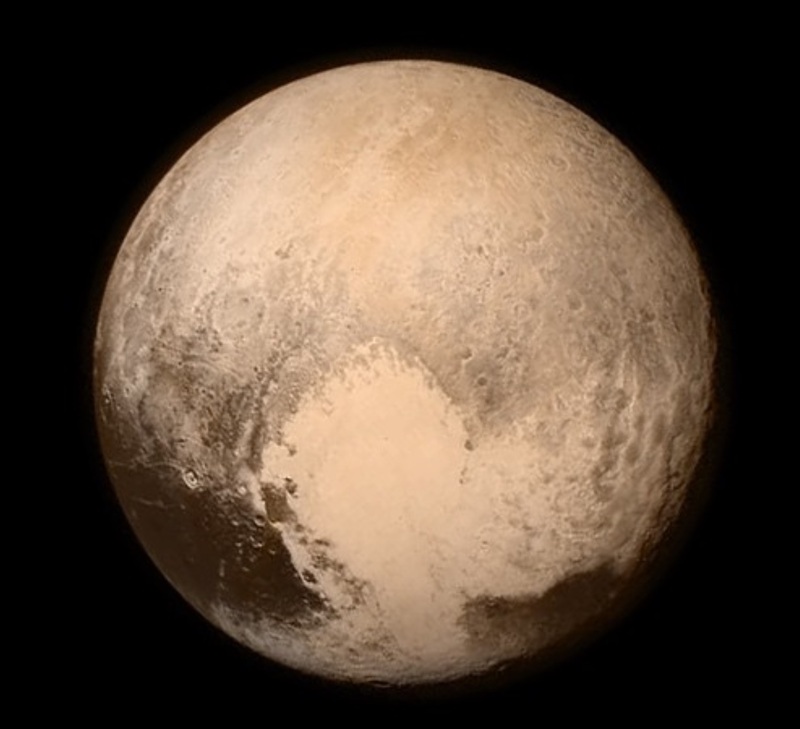 This entry was posted in Planets, Science, Space and tagged definition of planet, planetoid, planets, pluto. Bookmark the permalink. 2 Responses to Planet or Not? How About “Planetoid”? Hey nice post you got there, it was a good read! Visit my blog https://thebeautyofspace.wordpress.com maybe you’ll enjoy it as much as I enjoyed yours! Cheers!